In what ways does employee share ownership serve a useful purpose? Structured appropriately, it fulfills the widely-accepted principle that “for so long as an individual invests his or her time and labour, he or she should benefit from the growth in capital value to which they contribute”. How can we widen and deepen the adoption and use of employee share ownership? By educating company owners and managers of the benefits, and by easing the way for companies and their shareholders to establish share plans in a straightforward and cost-effective manner. What would you tell someone on the fence about introducing employee share ownership to their company? A workforce whose members understand and can see in practice that, if the company succeeds financially, so do they, will be more ready and willing to act in ways which promote financial success. Correctly balanced and structured, the fact that employees profit from participation in a share plan means that other shareholders inevitably do so too. What do you think will change about employee share ownership over the next five years? If we are not vigilant, the interests of employees will be ‘crowded out’ as companies and their owners perceive that the (largely ‘up-front’) costs, complexities and management burden of establishing and operating plans reduce their attraction. 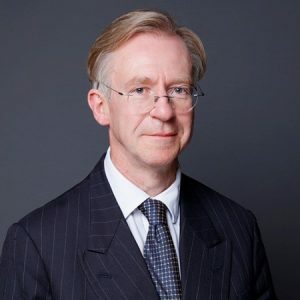 The Esop Centre and all other interested bodies (ProShare, Share Plan Lawyers, Advanced Studies Group and others) must focus on persuading government to reduce uncertainties in the tax and regulatory treatment of share plans (and not just as a consequence of Brexit) and ensure that there is a clear path for companies to follow cost-effectively and with confidence that, if the company prospers, there will be no challenges to the operation of the scheme. The government needs to establish a clearly-defined, and readily adoptable, structure for private-equity backed companies (now representing a substantial proportion of UK corporates) to allow their employees to share in growth in value in a manner which, if not affording generous tax advantages, does at least avoid altogether treating such profits as employment income. What has been the most important development in employee share ownership during your career? Without doubt (a) the introduction of the generous tax advantages afforded under the very flexible EMI share option regime; and (b) allowing corporation tax relief for employee share acquisitions and share options gains, even when the economic cost is not directly borne by the company or its shareholders. Which change to employee share plans legislation, in the UK or elsewhere, would you most like to see? In the UK, (i) government recognition of all-employee joint share ownership plans allowing participants to benefit from future growth in value over the initial ‘pro-rata’ value of the award shares with no up-front tax charges; (ii) consolidation of CSOPs within the more flexible EMI regime, providing differential overall and individual limits for companies of different sizes; (iii) removal altogether of any possibility of double taxation if shares are held in a UK-based trust pending transfer to employees; (iv) a raft of small technical changes to the tax rules to remove ‘traps for the unwary’ and unforeseen barriers to adoption. Why do you think employee share ownership has enjoyed cross-party support in the UK? It is self-evident that the principle first described above has benefits for both employees and society at large. Employee share ownership moderates some of the excesses of capitalism by sharing more widely the wealth created by UK plc. Which aspect of the Esop Centre do you most value? newspad, and the Centre’s contacts with government, enabling effective dialogue on matters of policy and specific technical issues. Which aspect of the Esop Centre would you most like to change? Greater participation by a broader range of companies. A cloudless summer afternoon spent at home in the hammock beneath the shade of oaks, the silence of the deep Devon countryside broken only by the hum of insects and occasional mewing of young buzzards. Completing an acclaimed performance of Beethoven’s 7th Symphony, as the timpani player, in an orchestra otherwise entirely made up of gifted young musicians including both my sons….and having managed to avoid their derision and embarrassment by playing all the right notes in all the right places. Difficult one – perhaps Patrick Leigh Fermor (or Julius Caesar?). I’ve never been one for ‘hero worship’, but I do greatly admire any individual who has managed to rise to the top of their chosen profession purely on merit, such as Lisa Stevenson, a former colleague of mine who now runs Parisi Tax, and Janet Cooper (OBE). A square of fabric which I embroidered with intricate patterns when at junior school under the guidance of a beloved teacher who showed me the satisfaction that comes from dogged persistence, hard work and determination. Copyright © 2017 — The Esop Centre Ltd. All rights reserved.